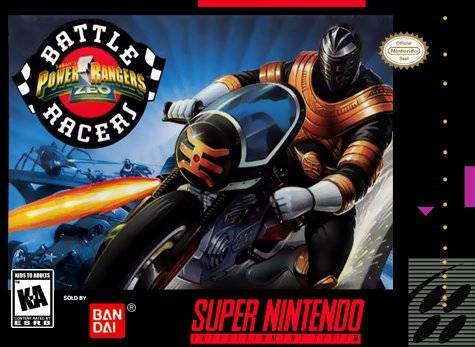 Power Rangers Zeo: Battle Racers for Super Nintendo has you choose your vehicle from a stable that includes jet cycles, hover craft, dune buggies, and quadrafighters and get ready to rock! You'll have to do whatever it takes to win the race, whether it's simply outrunning your opponents or blasting them into oblivion. There are 16 courses to choose from, each offering individual challenges that will push your driving skills to the limit. Take on a friend in split-screen racing, or if you're good enough you can go up against King Mondo's 3-Wheel Chopper.